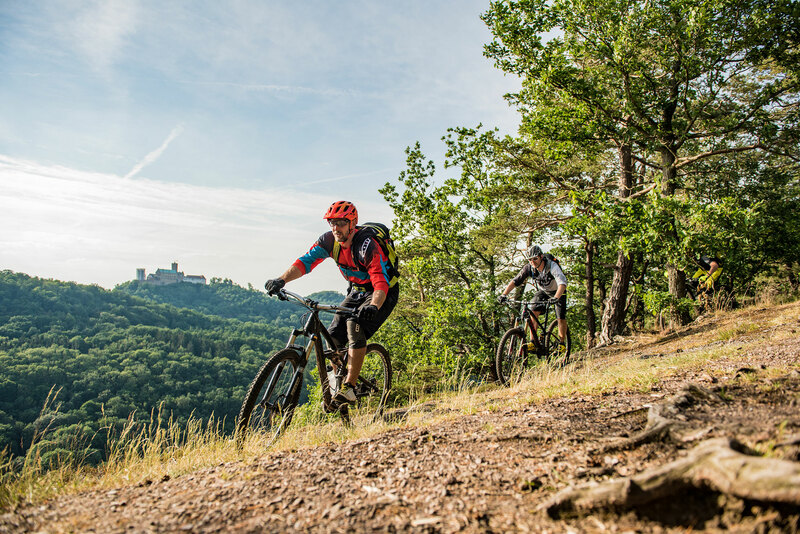 The area between the Wartburg Castle and the Rennsteig trail is a paradise for bikers. Unlimited possibilities and levels of difficulty lead you through a wonderful landscape - with a guide if you want. The Werra river winds its way through the hills, past meadows and castles. Explore the beautiful landscape from the water on SUPs, canoes, kayaks, rafts or rubber boats. Eighteen holes. Very challenging and well structured. The Wartburg Golf Park with its gently undulating terrain and a well-kept club house offers an opportunity for a relaxed game. If you like an active life, you came to the right place in Eisenach. 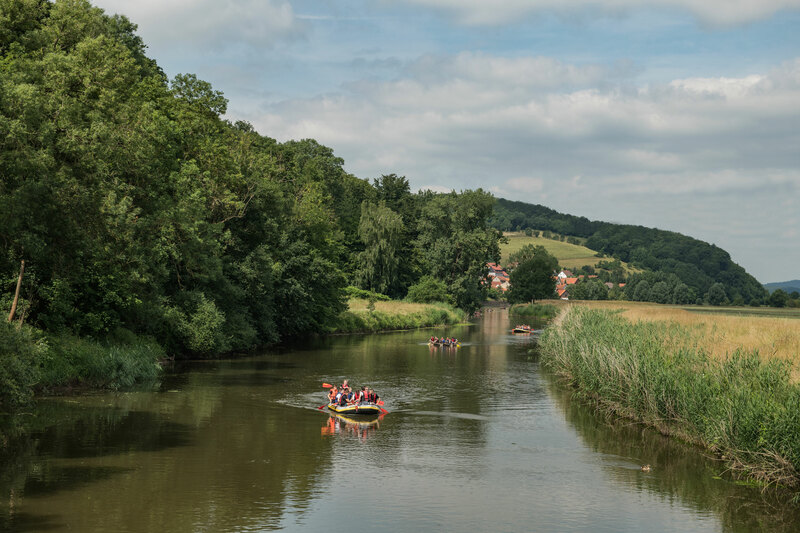 On the water in a canoe, in the air skydiving or on a mountain bike in the woods – experience Eisenach’s surroundings from a special perspective. Or relax playing golf, challenge yourself with rock climbing, go for a horseback ride. The indoor and outdoor possibilities are enormous and we would be happy to give you advice and organize things for you. Nature, fun, adventure, driving technique and body control: these are the ingredients for a unique experience with professional guides in one of Germany’s most beautiful mountain bike regions (including bike rental). The professionals for organizing bike tours, bike rallies or river bike tours on Thuringia’s impressive network of bike trails (including bike rental) + hiking tours. In the beautiful Johannistal valley, far away from the noise of the city and the stress of work, lies the probably most attractive tennis facility in Germany with 9 well-kept courts. TC Blau-Weiss Eisenach 1920 e.V. 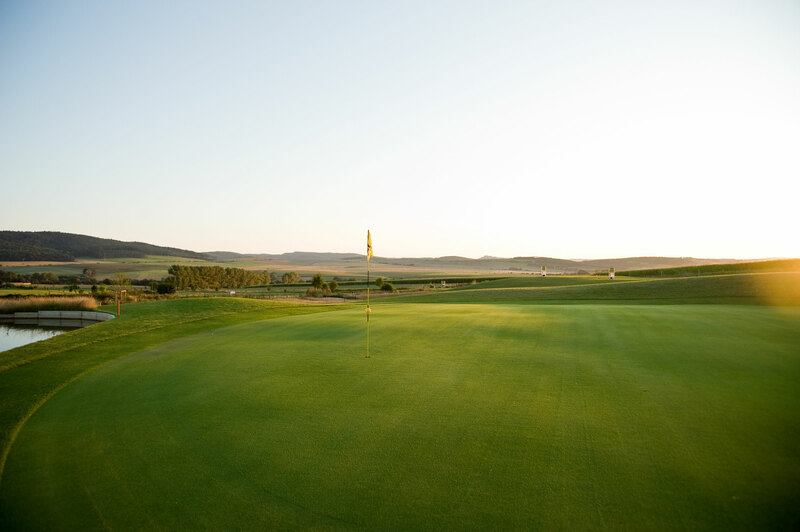 The challenging Wartburg Golf Park is located on softly undulating terrain with eighteen well-arranged fairways. The well-kept club house offers all amenities and opportunities for relaxation. This indoor-facility offers golfers 180 square meters of completely weather-independent training area and also a place to obtain and adjust their equipment. Family friendly! Visit the well tended miniature golf course with 18 lanes on the shady meadow of the Aquaplex public swimming pool. The ball rolls on 18 lanes … events, music and a snazzy gastronomic concept ensure party fun for the entire evening. The bowling center has three courts for the fast sport on the net, including sanitary facilities and a sports bar. The ultimate kick waits for big and small adventurers in one of the largest climbing forests. Just around the corner, in the building of the former brewery, a spacious and beautiful hall offers climbing adventures in any weather. Kringeltours turns the Werra River in to a special outdoor experience with canoes, SUPs, inflatable boats or self-built rafts. And on solid ground they offer entertaining GPS safaris or team-building activities! When it comes to tours on the Werra River in canoes, kayaks or inflatable boats, the outdoor specialist organizes everything to perfection. The country inn and the riding stable form an attractive symbiosis and they are idyllically located on the bank of the Werra River. You can go horseback riding here, or ride in a carriage or enjoy Thuringian cuisine. Enjoy free falling… At the nearby airfield you can enjoy this unique feeling between heaven and earth. The beautifully situated horse farm on the outskirts of Eisenach offers their guests everything they need to get classic English equestrian training. Only 17 kilometers from Eisenach, the winter sports resort in the town of Ruhla has a lot to offer: cross-country skiing and skiing tours on prepared tracks, sledding hills and winter hiking trails.